I think it’s safe to say we all grew up eating beef steak. Nothing beats the sight of tender slices of beef swimming in liquid gold marinade, with huge rings of onion glistening from the sauce. In this case, we give ourselves the pleasure of having another cup of rice. The smell of Filipino beef steak is enough to make one drool. 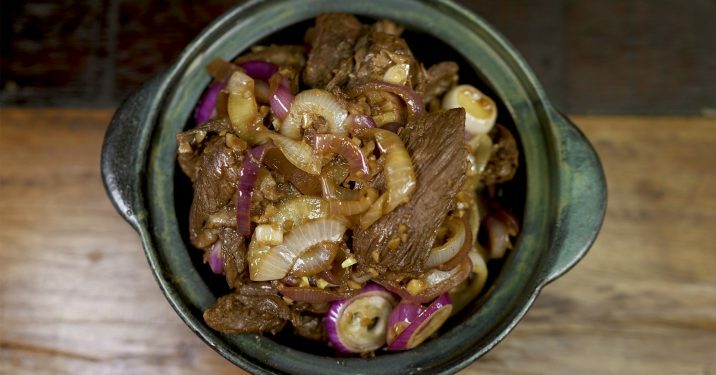 “Bistek,” as it is otherwise called, looks simple but is a dish packed with complex flavors. A mild tang hits your tongue, followed by a burst of salty-savory flavor. The onion rounds it all out with its subtle sweetness. You have to be patient when you cook beef steak— the magic happens in the low and slow simmer. It will never fail to disappoint. 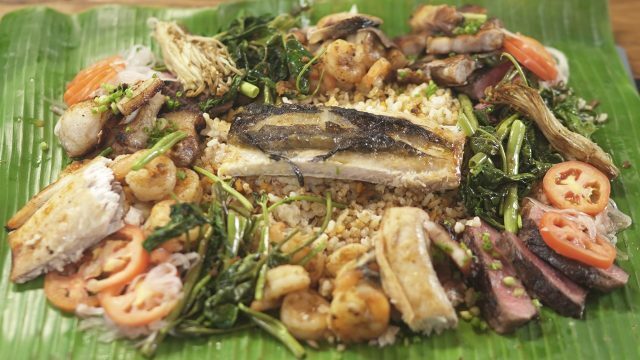 The key ingredients for this recipe are calamansi, soy sauce, garlic, and onions. Top round or sirloin are great options for beef steak. Chuck roast is another great choice if you want a bit of fat in your meat. 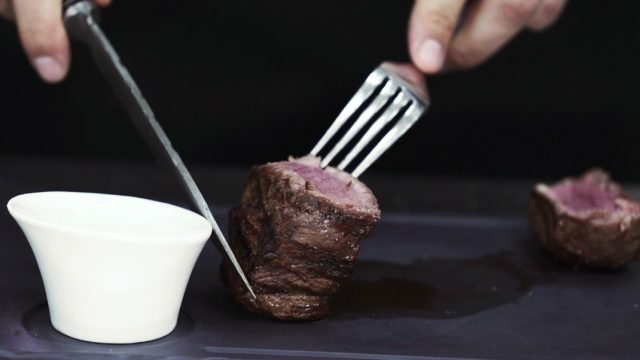 Just like your normal steak, make sure the meat is cut against the grain so it will be tender and easy to chew. For onions that still have crunch, add them last in the pan. Let the residual heat cook the onion. 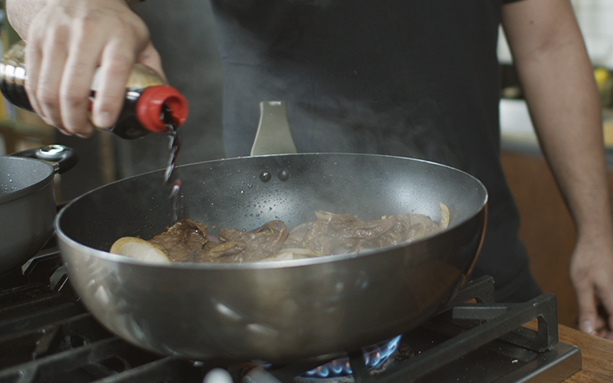 I had my good friend Chef Allen show us how to make the classic Filipino beef steak. Watch the video to see how he makes it! After that, maybe try it out for dinner. 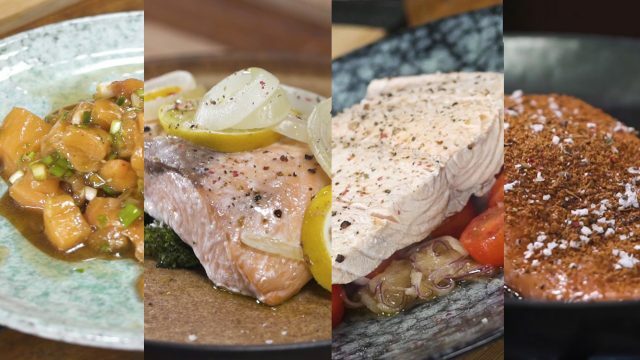 Do you have any other dishes in mind that you’d want us to feature? Let me know in the comments! 1 Marinate 400g of sliced flank steak with 1/3 cup calamansi juice and 3/4 cup of soy sauce. Let sit for 20mins (2 hours for tough cuts like shank). 2 Place the mix in a hot pan and cook down until the beef is tender (for flank, usually about 10mins - longer for tougher cuts like shank). 3 In another pan with 4 tbsp of oil, fry off 1/3 cup of minced garlic for 1 mins, add in 3/4 cup of sliced red and white onions, cook together for 10mins. Add the sauce back in. 4 Toss in 1 cup of sliced red and white onions. 5 Taste and adjust with soy sauce and calamansi if needed. 6 Serve on white rice.